said while distributing the notebooks worth Rs.15,000 to 256 poor children. Nalagonda Vikasa Tarangini gave away 14 notebooks to each student on Friday in Gupanpalli Grama High School in Rural Mandal, Nalgonda. While speaking on this occasion, HH Chinna jeeyar Swamiji Jeeyar Swamy stressed the need for imparting value based education as they are the foundation for tomorrow. 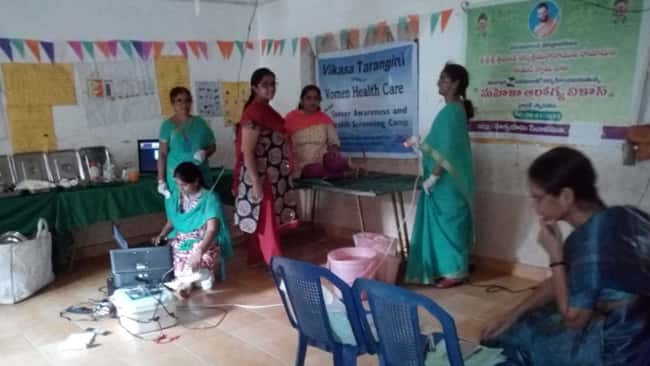 Vikasa Tarangini head Sriman Gampa Srinivas, coordinator Srinivas Rao, Headmaster Prabhakar Reddy, teacher -Ghanapuram Devandar, Sayanna, Suryaprakash, Rekha, Swapna, Sunitha and others participated in the program.